This feedback is combined from three inquirers from the USA and one from Australia asking astronomical questions, with responses from Dr Jonathan Sarfati. Norm P., asked a question about a lunar eclipse occurring on a full moon just before Christmas 2010, but it is relevant for the forthcoming Easter, as will be shown. Gary B. asked about WMAP data and the “flatness” of the universe, which provides a chance to explain some of the problems. Lester V. asked how rotating objects could fit with the big bang, which allowed a chance to explain an intriguing universe model that would rule out the big bang, as well as dispel a common urban myth about ‘Down Under’ water down plugholes. Finally, Corinne S. asked about our Distant Starlight explanation and white holes. Could someone explain how a lunar eclipse can or is suppose to happen on [21 December 2010]. I am a Christian and have understood that it is impossible for an eclipse to happen when there is a full moon. I have even taught this in an apologetics class. I’m sure that I’m just missing a piece of the puzzle. Your response will be greatly appreciated. Early Christian accounts of Christ’s crucifixion confirm the preternatural darkness at the time, and these apologists rightly rejected the excuse that a solar eclipse caused the darkness, because this is impossible during a full moon. There is no problem here. What you were presumably told is that no solar eclipse is possible with a full moon. Early Christian accounts of Christ’s crucifixion confirm the preternatural darkness at the time, and these apologists rightly rejected the excuse that a solar eclipse caused the darkness, because this is impossible during a full moon. 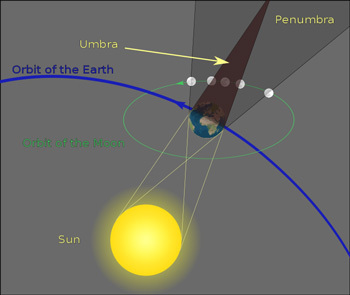 A solar eclipse requires the moon in front of the earth, but this is the position diametrically opposed to a full moon. But a lunar eclipse is a much less spectacular phenomenon. One lunar eclipse I witnessed (in Western Australia) didn’t even look like the moon disappeared, but appeared much redder and fainter. The redness is from the same cause as sunsets and sunrise: the atmosphere scatters out the shorter wavelengths of light.1 And a lunar eclipse is possible only during a full moon, since both of these require the moon behind the earth. 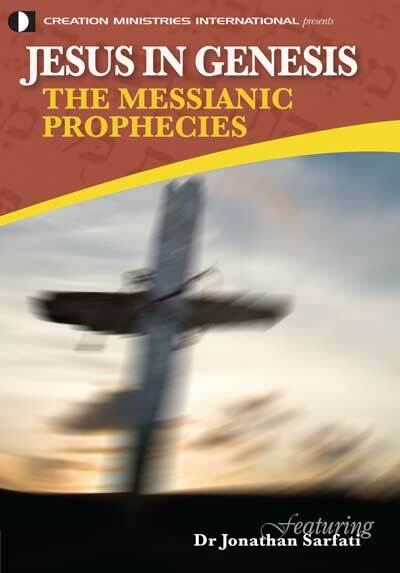 One of our articles on the topic is Darkness at the crucifixion: metaphor or real history? An outside site I found on the topic is Darkness at Full Moon? The design of the moon for a total solar eclipse is discussed at The moon: the light that rules the night: i.e. the moon is both 400 times smaller and 400 times closer than the sun. Another relevant article on the general approach is Presuppositionalism vs evidentialism, and is the human genome simple? i.e. avoiding the ‘evidentialist roller coaster’. I read that in the WMAP data they concluded that the universe was flat, what does that mean & how does that information help or hinder the creation model of our universe. Probably the major cosmological debate among ‘big bang’ cosmologists is whether the universe will expand forever (‘open’) or will eventually collapse (‘closed’). This depends on the mass density of the universe, represented by the symbol Ω [capital omega]. If Ω < 1, then the universe is open; if Ω > 1, the universe is closed. The fate of the universe is directly related to whether the universe’s geometry is hyperbolic (open) or elliptical (closed), i.e. the multi-dimensional equivalent of a hyperboloid (‘saddle’) or ellipsoid or sphere. The currently fashionable ‘inflationary’ models predict that the universe’s density is just below the threshold of collapse, i.e. Ω = 1 — a geometrically ‘flat’ universe. A flat universe by definition rules out any oscillating universe model, which was one excuse for evolutionists like Sagan and Asimov for denying a beginning. The ‘flatness’ problem is one of many in the big bang supposed to be solved by the ‘inflation’ idea, as explained in Planck sees the Big Bang or not? Even some secular scientists have stridently attacked the big bang for needing to be propped up by fudge factors including this faster-than-light inflation of space-time as well as dark matter and dark energy. See Secular scientists blast the big bang: What now for naïve apologetics? As for WMAP itself, an expert radiologist attacked the publications for concluding far more than any radiologist would from the weak evidence adduced from the data—see WMAP proof of big bang fails normal radiological standards. A flat universe by definition rules out any oscillating universe model, which was one excuse for evolutionists like Sagan and Asimov for denying a beginning. For the implications for a Creator, see If God created the universe, then who created God? The laws of motion (a body in motion tends to stay in motion, and in the same direction, unless acted upon by an external force) seem to contradict the Big Bang theory of stellar/planetary origin. Specifically, the matter that spread out from the Big Bang explosion would have traveled out in straight lines from the point of explosion, like the spokes of a wheel. What is thought to have caused them to begin to spin in ever-tightening knots, to give rise to the stars? There would have been no sideways force to divert the particles from their paths, and there would have been no force to change the linear momentum of the Big Bang into circular momentum to produce stars or planets, or is there something I’m missing? I don’t deign to defend big bang cosmology, but it would not be too difficult to start circular motion. If a cloud started collapsing, only if the motion were exactly straight inwards towards the centre of gravity (radial motion), would spiralling be avoided. But even a small random fluctuation in the motion would cause the motion to deviate from this straight-in path (in technical terms, it would impart a tangential component to the motion, i.e. perpendicular to the radial motion2 ). This would bias the collapsing cloud into spiraling one way or the other. That is why even on a small scale, water spins either one way or the other down a plug hole (NB, it is an urban myth that water down a plug hole spins in the opposite way in the southern hemisphere due to the Coriolis Effect; it is true of cyclones/hurricanes though. See for example the explanation from an Urban Legends site and another from Bad Meteorology). However, you are on the right track about rotation. One thing that really is incompatible with the big bang is a rotation of the universe as a whole. There is some evidence for this, as discussed briefly in my book Refuting Compromise, ch. 5; as well as in New evidence for a rotating cosmos and More on the Rotating Cosmos ! I just read Chapter 5 of the Creation Answers Book. Although it has helped me with some questions I’ve had for a long time, I don’t quite understand some of the things it’s talking about. This subject is very important to me right now because I got into a silly argument with a friend about (among other things) the plausibility of cdk, and now that I realise I was wrong, I would like to give him an educated answer regarding current creationist beliefs. My questions are: What exactly does it mean by event horizon and why does it have to be there in the first place, since there is already higher gravity in the smaller universe? When it says that matter passed out of the event horizon, does it mean from one side to the other or appeared from nowhere? Why did the event horizon get smaller if the universe was getting bigger? In other words, can you give me an explanation of the second half of p95 in layman’s terms? I realise this is not an official CMI publication so I understand if you do not have the authority to answer these questions. As always, thank you for your tireless work in bringing the truth to so many people. This is definitely an official CMI Q&A page, and the Creation Answers Book is definitely an official CMI publication—probably our core book. All the matter inside a black hole is compressed into a singularity of infinite density. So instead, its ‘size’ is defined by its event horizon, a boundary surrounding the singularity such that nothing, not even light, can escape from within the boundary.1 Its radius is called the Schwarzschild radius, after the German astronomer Karl Schwarzschild (1873–1916), and is given by the formula RS = 2GM/c2, where c is the speed of light in a vacuum. If the sun were to collapse into a black hole, its Schwarzschild radius would be only 3 km (2 miles). So when matter passes out, as is does with a white hole by definition, the mass decreases, so the Schwarzschild radius decreases in proportion, i.e. the event horizon shrinks. 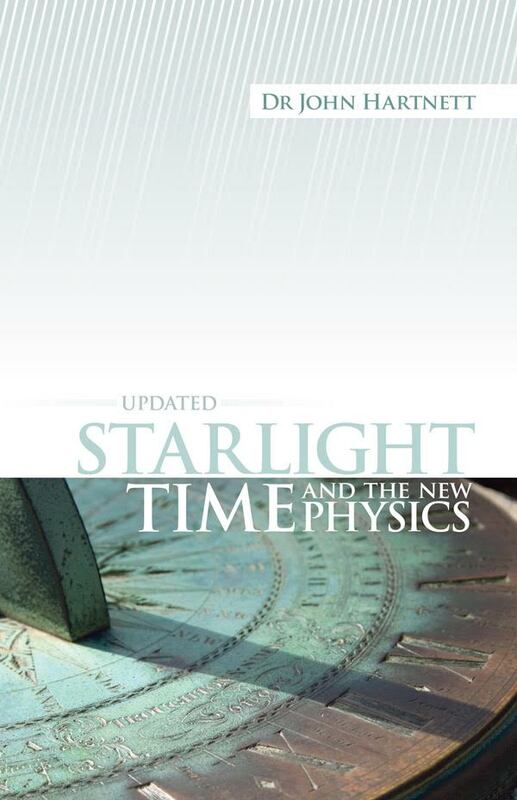 Our most recent book on the distant starlight problem is Starlight, Time and the New Physics. 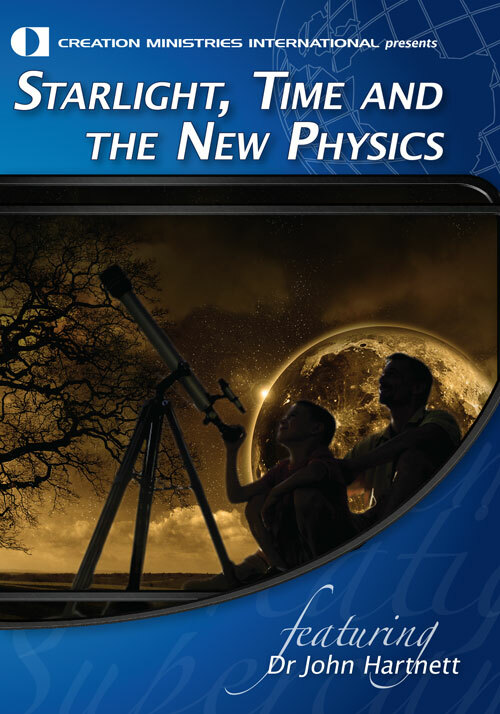 The author, Dr John Hartnett, is a tenured and award-winning professor of physics at the Uni of Western Australia. When he gives his talks on the topic, he often shows a slide, “Warning: Physics Inside!” This suggests that it’s hard to discuss such issues in a layman-friendly way. As a result, in Q&A times after my talks I concentrate on showing that big bangers have their own enigma with the travel time of light, called the horizon problem. So they should beware of pointing the finger at creationists because of light travel time, because they will have three of their own pointing back at themselves for the same reason! —see Light-travel time: a problem for the big bang. Planck sees the big bang? If God created the universe, then who created God? Light scattering intensity is proportional to the fourth power of the frequency, and blue light has almost twice the frequency of red. Return to text. Similarly, exactly circular orbits are possible only with an exactly tangential motion at the right speed. Deviations from this result in elliptical orbits as we observe. Return to text. For up-to-date information, see also Sarfati, J., Solar system origin: Nebular hypothesis, Creation 32(3):34–35, 2010; Spencer, W., Planets around other stars, Creation 33(1):45–47, 2011. Return to text.